The latest medical app craze in China is iBaby, developed by an entrepreneur from Harbin to provide antenatal, childbirth and childcare advice to Chinese women. 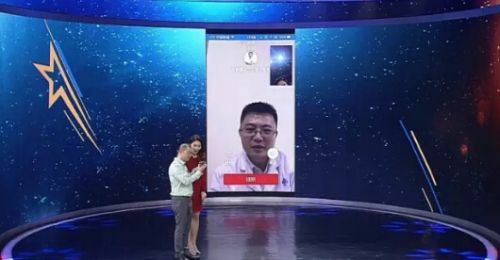 The creator Lu Guotao featured on a recent Apprentice-style TV show on which he demonstrated how his app can link women up to advice via video and online help from obstetricians. Lu turned down offers from investors and went it alone to market the app, which he says now has tens of thousands of users in 31 provinces. Lu says he has had 10,000 obstetricians sign up to provide medical advice online via the app. The one stop platform for pregnancy advice also links women up with local clinics and offers links with merchandisers for pregnancy wares. Lu says he was already a successful businessman when his wife became pregnant, but they were so busy attending to their work that she lost the baby through a miscarriage. Lu turned his grief into an energetic mission to help avoid such incidents again, by providing accessible information, advice and contacts for prospective parents. He says the huge success of the app is not surprising given China's move towards relaxing the one child policy and also the opening up of the healthcare system to private investment and more flexibility in doctor roles. The app has received backing from national obstetric experts including Professor Liu Xinghui, director of the West China Second Hospital, Sichuan University, Chengdu. Professor Liu offers weekly online lectures via the app. She says women can access a wide range of obstetric experience via the app.